Enjoy on this private tour of two special places in the mountains near Madrid city. They are 'El Escorial' and 'El Valle de los Caídos' (the Valley of the Fallen). Don’t miss the opportunity to have a fascinating time with lots of things to see and experience. 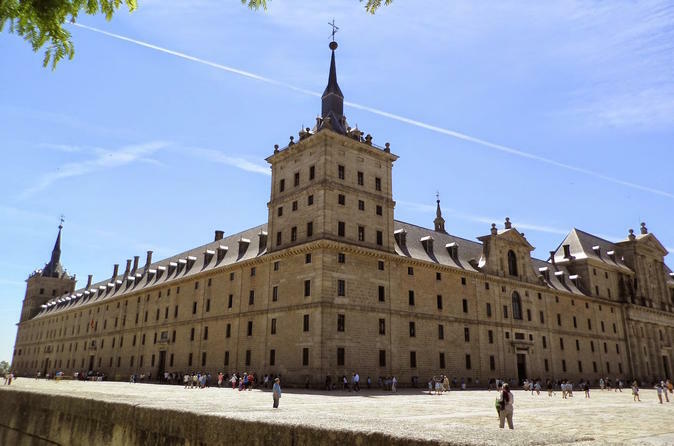 You will be collected at your centrally located hotel in Madrid and driven 50 Km to the Northwest to visit two of the most symbolic monuments in Spain: El Escorial monastery: a huge16th century palace and monastic complex built by King Philip II of Spain at the time when the Spanish monarchy controlled the world and the Valley of the fallen: an emotive example of totalitarian architecture, built after the Spanish Civil War (1936-1939) by the victors (members of the coup d’état) using the forced labour of the losers (prisoners of war). The monumental complex consists of a Basilica excavated in the rock, an abbey, a hostel, and an extremely tall cross (150 metres).